Settings -> Applications -> All tells me that "Contacts Storage" uses 2.5MB which must be my contact data. Since I had to revert to 4.03 after a faulty update to 4.1 my contacts seem inaccessible although the data seems to be there. The exact location of the contacts database might depend on your manufacturer's "customization". While "plain Vanilla Android" has them in /data/data/android.providers.contacts/databases, the stock ROM on my Motorola Milestone 2 e.g. uses /data/data/com.motorola.blur.providers.contacts/databases/contacts2.db instead. A raw mask to check for is /data/data/*.providers.contacts/databases/*.db. The file is in SQLite3 format, and can be browsed on your PC with e.g. SQLiteman or DB Browser for SQLite, which is available for Linux, Mac, and Windows alike. With this application you can browse the database in a graphical mode. Of course you also can use the command line sqlite3 client if you prefer. Crucial point to directly access this database is that your device must be rooted -- a precondition you already meet, as your question states. So you can either use a file manager to navigate to the database file, and copy it to your computer for investigation -- or directly pull it to your computer via adb pull. A third option would be to investigate it directly on your device, e.g. using the SQLite Manager or aSQLiteManager app. If you are rooted, use Titanium Backup to take out contact storage. It displays storage item entries with Green color. Not the answer you're looking for? Browse other questions tagged contacts data-recovery or ask your own question. Where are contacts located on Xperia P internal storage? 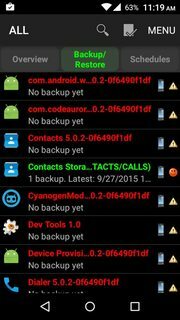 Recover data off internal memory of a pin-locked phone? 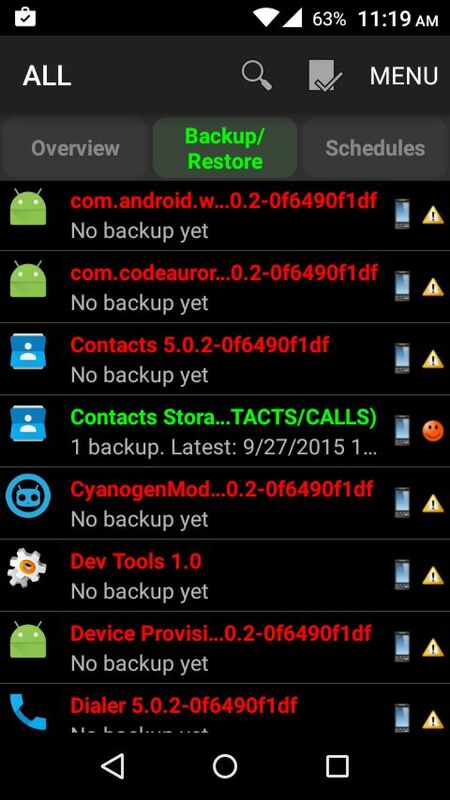 How to retrieve contacts from not rooted phone? In google contacts where is the contact for me? What is the filename for my contacts? Can I remove the gray triangle in the lower right of a contact icon?